Clock Towers remind us of a different era! It was a time when most people didn&apos;t even have wristwatches, forget mobile phones, to check time. Those looming clock towers helped the entire town to keep track of time and schedule their daily activities. Delhi once saw quite a few of them but most have been destroyed and only a couple remain. The Hari Nagar Clock Tower or the Hari Nagar Ghanta Ghar as it&apos;s popularly known is one of those last surviving clock towers in Delhi. The Hari Nagar Clock Tower is actually a comparatively newer installation compared to some others of ilk such as the one in Chandni Chowk that was damaged in an earthquake and was never rebuilt again. It is believed that this tower was built around 1950 in the memory of Diwan Hari Singh, who was a prominent personality from the area. The original clockwork and other equipment were imported from England as the builders wanted it to display time with utmost accuracy. But later on, when the original parts gave in, they were replaced by the ones from the Hyderabad factories. 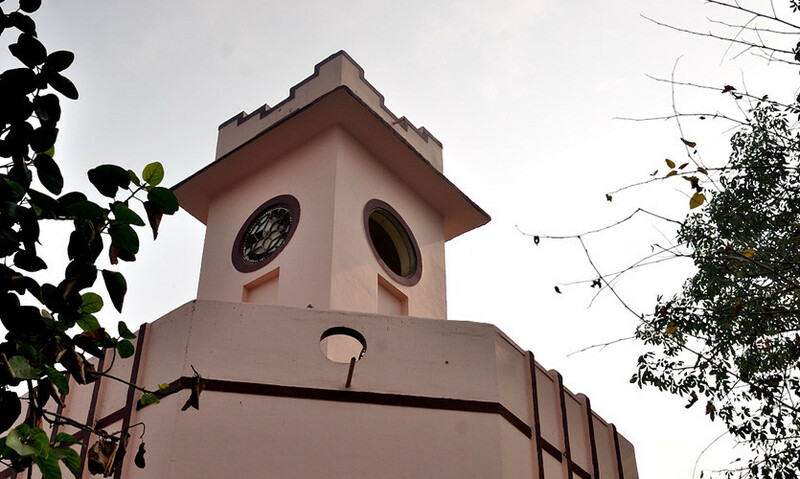 The clock tower still has an unmistakable presence and it is a quintessential landmark in the entire Hari Nagar locality. Initially, probably it was not so crowded but now the whole area is covered by a busy market on one side while on the other side a public park has been built. 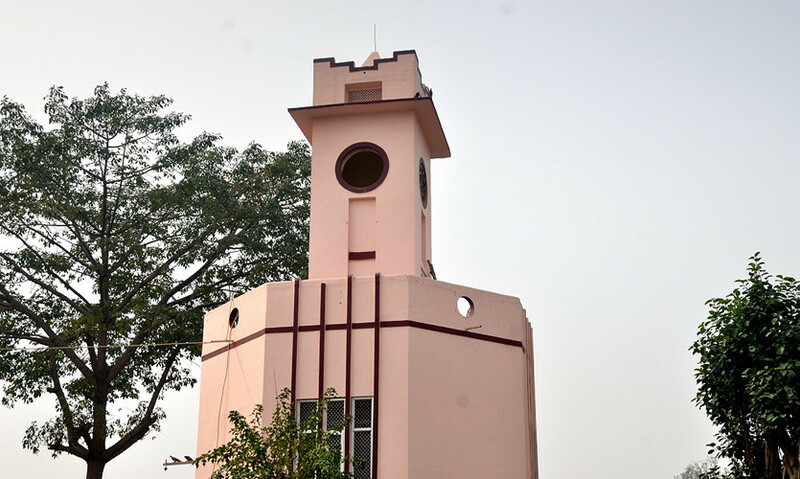 As of now, the clocks are not fully functional but the exteriors of the structure have been maintained well enough as suggested by the fresh shade of light pink paint on the walls. The tower displays the classical structure of a clock tower with gradually smaller diameter at each stage leading to a pointed top. Some of the round holes at the top are now empty but they must have had clocks displaying time initially. It is actually located at the centre of a busy town square encircled by roads on all sides. The small area allotted to the tower in the middle also shelters some pigeons and local people are often seen feeding them. As mentioned already, it is a major landmark in the Hari Nagar locality in West Delhi and everybody is familiar with it. 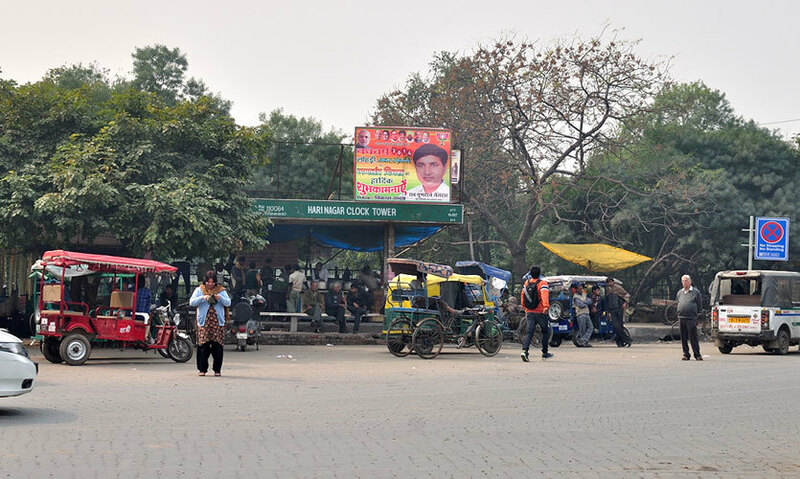 But if you are trying to reach it from other areas of Delhi, you may find it a bit problematic because the locality is not exactly near any metro station. The closest one is the Tilak Nagar metro on the Blue Line but you still have to hire an auto rickshaw or a take bus to reach Hari Nagar from there. The bus stand is also located just on the other side of the road and as expected, is named after the clock tower itself. So with all this interesting info. in tow, go explore!